The weather report for this Saturday doesn't seem normal considering all the clouds and rain that we have had for 2018, BUT the forecast calls for sunshine, clear skies, and a high of 76. It will be a beautiful day for all things Ashland, which means being out and socializing. A big happy birthday to the place that has raised so many Ashland kids! Kiddie Kingdom will be throwing a big birthday party this Saturday, Sept. 29th, from 10:00 AM to 2:00 PM. There will be carnival games, music, food, and lots of fun seeing familiar faces. Bring your kids by to visit the classrooms and teachers that they loved! It should be a wonderful afternoon on the front lawn of the Arts and Activities Center! This Craft Beer Festival has become so popular in the past few years, and it is easy to see why! Live music will be provided from the Mike Lucci Band, the HD Band, and The Bush League. Visitors will have many breweries to choose from, including Ardent Ales, Hardywood, COTU, Bold Rock Hard Cider, and Devil's Backbone. Yours truly will be pouring at the Legends tent from 3:00 to 5:00, so please stop by and say hi! Tickets are $15 at the door and include a commemorative pint glass. The Ashland Farmer's Market is a lovely place to visit as fall fruits and vegetables arrive. Make it a part of your weekend routine! The Hanover County School Board announced that it will combine Henry Clay and John M. Gandy Elementary Schools into one sometimes within the next 3 to 4 years. We hope that they can find a way to keep these school children at a school that is connected to the town by sidewalks. We always enjoyed walking to school when scheduled allowed it. Those minutes were filled with good conversation and frequent stops along the way when the honeysuckle was in bloom. Keep the Ashland elementary school within the town limits; it's why people move here. Enjoy this beautiful weekend, Ashlanders! Stay up late with the windows open; you live in a beautiful place. Call or email me with your Ashland news: 310-5320, ashlandnews@gmail.com. reflected in the strength of said storm on the prepare-er. This past Tuesday, we tied the trampoline to a tree, ya'll. In light of the non-weather event this weekend that cancelled all of our plans, I propose multiple post-hurricane parties where we use up all of these supplies we purchased. Have you gotten your tickets to the Off the Rails Craft Beer Festival on the 29th? This is such a fun event for the Arts and Activities Center, and a perfect evening in our wonderful little town. Tickets are $15 and can be purchased at the Caboose, at the gate, or online here. The Randolph-Macon football team will be playing away at Washington & Lee that Saturday, so there should be no conflict of interest this year! Your Ashland Coffee and Tea has just undergone some intense renovations, so plan an evening to come listen to some music and see the changes! On October 5th, Carl Waterford & Three Bars Down will lend their Chicago blues to ACT's Blues and Burgers night. Visit the website for more information! This coming Friday, September 21st, your Patrick Henry football team will take on Henrico High School at home, under the lights, at 7:00 PM. Come cheer on the patriots and partake in a great, small-town evening. Nest Saturday, the 22nd, is National Free Museum Day and you can download two free tickets to lots of museums in our area. 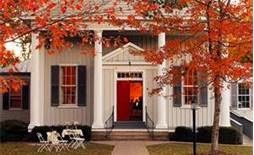 I bet there is at least one participating museum that you haven't been to yet; Scotchtown is on the list! Visit www.smithsonianmag.com/museumday/museum-day-2018/ to get your free ticket. Call or email me with your Ashland news: 310-5320, ashlandnews@gmail.com. There is so much happening in this Center of the Universe...why would you ever want to leave? Like a hurricane always makes that turn to the north along the east coast, so does summer always turn towards fall. 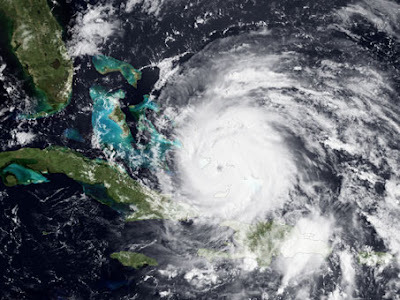 I have hurricanes on my mind because it is that time of year. I was working in my yard last Friday around 6:00 PM, and I noticed how quiet it was- the cicadas had stopped their constant singing and the air was still. "Oh," I immediately thought, "its hurricane weather." Our Atlantic has let the Pacific take center stage this week as Hurricane Lane moves towards Hawaii, and let that remind us to check our supply of batteries and candles. The Patrick Henry Half this weekend, so be prepared for some detours if you are headed west out of town on Saturday morning. Come out and cheer if you live along the route! It's always nice to see the students coming back to town- they add a youthful spirit to our town that we all enjoy. The first home football game for the Randolph-Macon Yellow Jackets will be Saturday, September 8th at 6:00 PM against Averett College. Who doesn't love watching movies under the stars? Whether by the pool or by the Library, Ashland has a long history of showing film outdoors. The opportunity arises once again with the Randolph-Macon Open-Air Film Festival this September. The first film will be "Alone in Berlin," staring Emma Thompson and Brenden Gleeson (in English with German accents) on Friday, September 7th. The film begins at 7:30, but there will be a light reception before at 7:00 PM. Bring your lawn chair or blanket and enjoy this event which is free and open to the public! You can learn more about the RMC Open-Air Film Festival by visiting their events calendar here. 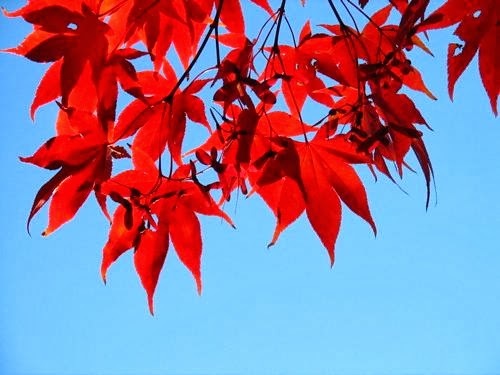 Fall is a lovely time in the Center of the Universe, and we have so much to look forward to: cooler evenings on the porch, the return of sweaters, and Halloween planning. Call or email me with your Ashland news: 310-5320, ashlandnews@gmail.com. Have a lovely weekend! It's mid-August. College kids are packing to leave, and grade-schoolers are eyeing school supplies. Carter Park pool is quiet most afternoons, and most of us are focused on September instead of August. These last weeks can be a blur; what did we not accomplish this summer? It reminds me of how fast the days in Ashland have flown by. 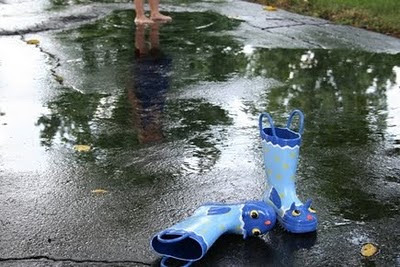 Our summers used to be filled with the activities of kids, pool trips, camps, sleep-overs with friends. 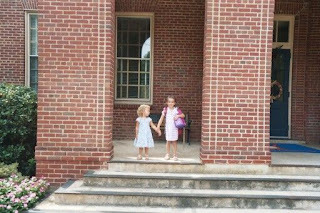 I can see this era ending as we now have two college kids in our house and a middle-schooler left at home. They don't need me to manage their days any more, which was a goal that I dreamed about ten years ago. Like many things that we think we need, the actual thing that we are longing for fails to live up to our expectations. The Ashland Farmer’s Market is larger than ever, and there are more customers that ever- so get there early this Saturday to stock up on wonderful late-summer vegetables, flowers for your kitchen table, home-baked breads, free-range eggs, and anything else to make your kitchen resemble a Southern Living photo-shoot. The Patrick Henry Half Marathon is about to run it’s twelfth year through the streets of Ashland on Saturday, August 25th at 7:00 AM. Come rain or come shine (or hurricane) the runners will loop from Randolph-Macon, up and down Blunt’s Bridge Road, and through the town to reach 13.2 miles. Come out to cheer them on! You can learn more at the Richmond Road Runners website: www.rrrc.org. Congratulations to the new Wawa for putting up framing that shows us that they actually do plan on constructing an actual building! There are a few weeks of summer left, kids. Do you know that most schools around the country have already opened? If I was you, I’d spend every last day at the Ashland pool. Stay up late, sleep in, and eat popsicles for breakfast. That’s what I’d do if I didn’t have to be an adult. Call or email me with your Ashland news: 310-5320, ashlandnews@gmail.com. Have a lazy, lazy week. 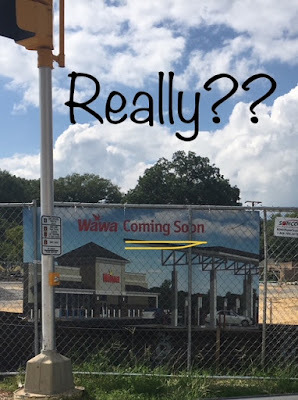 We are very tempted to hang out own signs on the chain-link fence that surrounds the empty lot on the corner of Rt. 1 and England Street. "Coming soon- more PVP pipes sticking out of the ground!" "Coming soon- better pop-up tents!" "Watch up dig up dirt so we can smooth it out again!" Although the Ashland Barracudas took a small group to the Championship meet, they succeeded in cleaning up quite well! Grace Gordon took home two gold medals in the 50 meter free-style and the 50 meter butterfly. Andrew Datovech was awarded one of the GRAL scholarships, and the team took home first place for their video. Christine Datovech won first place in the Virginia State Championship for the 50 free-style. If you have school-aged kids, the Ashland Barracudas is a wonderful summer activity. It's great cross-training for other sports, and it gives them a very important life-skill. Visit the ashlandswimteam.com or find them on Facebook for more info. The next Ashland Street Party is Saturday, August 18th. Bring your lawn chairs and your dancing shoes, and meet up behind the library from 6:30 to 11:00 PM. Buy your tickets ahead of time and save $10. You can purchase tickets online here. The Ashland Main Street Association recently held a mixer to introduce their new director, Maggie Longest, and several new board members, including Lorie Foley, Bob Brown,Bill Gateway, Kelly Thomasson, and Paul Davies from RMC. This organization has been intregal in promoting Ashland and working to preserve and protect our wonderful downtown area. Are you recieveing the "Get Centered" newsletter? Visit here to sign up for your copy! OK, Ashland, there are 32 days left before those big yellow school buses start rolling. Ignore all those back-to-school sales and spend some time being lazy! Call or email me with your Ashland news: 310-5320, ashlandnews@gmail.com. Have a wonderful weekend! Congratulations to the Ashland Barracudas who concluded another successful swim season last night! We'd also like to congratulate all of the seniors who stood on the blocks last night with a combined 86 years of participation. 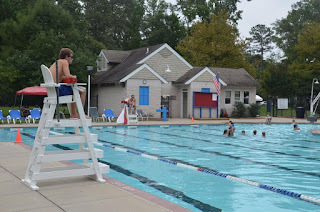 Standing on those blocks of Carter Park Pool while Coach Trent reads off their accomplishments and college destination has become just as much as a rite of passage as the actual graduation ceremony. The Barracuda coaching staff is the reason that families keep returning and that kids stay on the team for so many years. Kevin Trent, Alan Rosenberg, Jenny Younce, and Curran Henry have taught these kids how to swim, but also how to be good people. We'd like to welcome Susannah Gilmore back to the Center of the Universe! 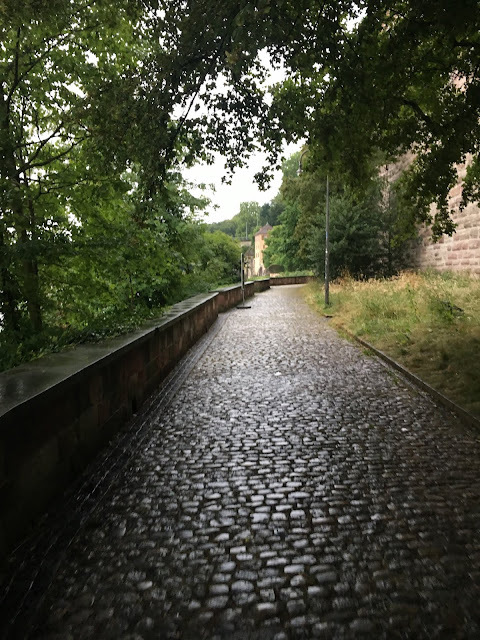 Susannah was an intern at the American Embassy in Berlin, Germany, for eight weeks this winter, and then spent the spring semester studying politics and German at Freiburg University. Susannah will begin her senior (4th) year at UVA in August. Origins Beer Lab is hosting a Thursday Run Club for anyone who would like to burn some calories before drinking beer. Running starts at 7:00 PM and there are multiple route maps available. You could even just walk around the block, if you want. 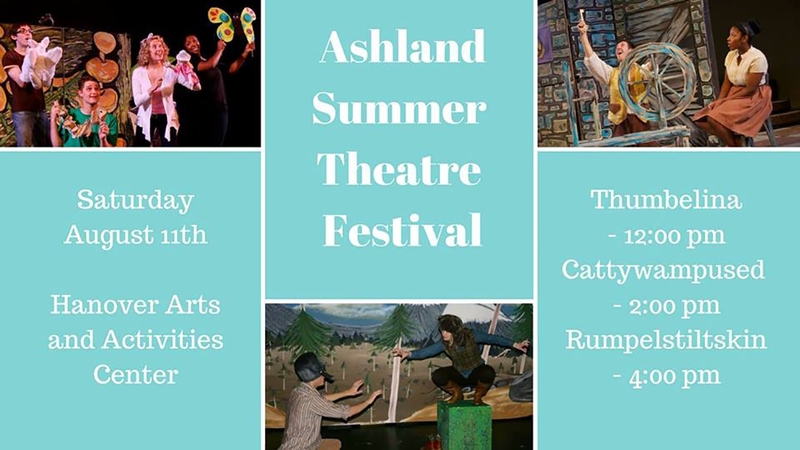 The Whistle Stop Theatre Company will present the second annual Ashland Summer Theater Festival on Saturday, August 11th, at the Arts and Activities Center. Bring the whole family to see productions of Thumbalina, Cattywampused, and Rumpelstiltskin! 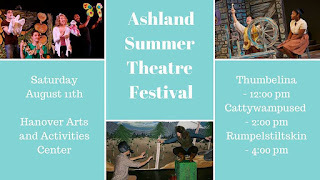 Between the shows, kids can enjoy crafts, games, and deals sponsored by the Ashland Mainstreet Association. Tickets are $10 for all shows and events. Email whistlestoptheatre@gmail.com to reserve your seats! Call or email me with your Ashland news: 310-5320, ashlandnews@gmail.com. The summer is almost gone, Ashland- have you paused enough? Last week I took a trip far on the other side of the world and I almost didn't come back. Now, don't be alarmed, I love Ashland more than I have ever loved another town, but I have always felt the desire to move and have a great love of the unknown destination. I never liked the feeling of being settled, and I struggle with it as I attempt to have a normal life with kids, a husband, a dog, and good friends. I discussed stealing a sailboat and heading south towards Casablanca, but my traveling companions refused to crew the ship. Do you know what finally turned my wandering mind back to thoughts of home? It was a bus; a mundane, ordinary bus. We were standing on the sidewalk outside of the Newark airport after a bumpy ride across the sea, and a big, blue James River bus pulled up to drive us down 95. It was like unexpectedly finding an old friend there to pick you up, saying, "Glad you're back; lets go home." So as many times as I travel, or pretend like I'm running away to the far ends of the earth, there is a part of me who will always be lulled by the soft voices of Virginia, by the cacophony of evening locusts, and by the sweet faces of my town. It's good to be back. In Ashland news, your Ashland Barracudas beat the Ashcreek Crocodiles last night by a score of 905.5 to 857.5. Thomas Senfield broke the team record in 9/10 boys' 100 free for the third time this year. He keeps breaking his own record- make a note of that. Those taking home four blue ribbons were: Caleb Flanagan, Kaylee Morgan, and Annie Topich. Triple winners were: Christine Datovech, Paul Datovech, Julia Dull, Grace Gordon, Kyle Henry, Davis Luck, Brette Nicely, Elizabeth Roberts, Emmeline Roberts, Thomas Senfield and Aiden Spence. And what about Miss Christine Datovech? I spoke to both her mother and coach about this record-breaking streak that she is on, and asked them, is there any record that she HASN'T broken? Why yes, they said, she can't break the breaststroke record. Well, ladies and gentlemen, that claim is now false as Christine broke the GRAL record in the 11/12 girls' 100 freestyle and the team record in 11/12 girls' 50 breaststroke last night. It is exciting to watch the trajectory of a young athlete. 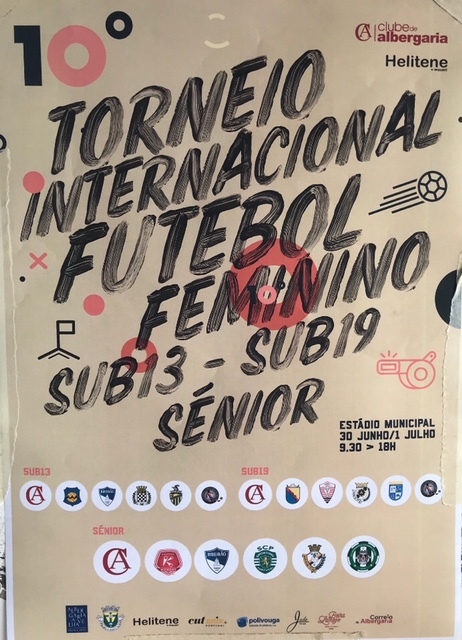 Congratulations to the Richmond Kickers North girls teams coached by Tony Santos and Ed Fallen competed in the Torneio Internacional Futebol Feminino in Aviero, Portugal! This group of Hanover high-school girls were true ambassadors of good-will and sportsmanship as they made friends on the pitch. 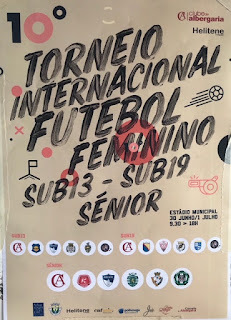 Soccer is a beautiful game that transcends languages and cultures, and many of these girls started with the Ashland Youth Soccer League which will begin practices in the fall! Enjoy this lovely town that always welcomes us home! Ride your bike to the Farmer's Market on Saturday and bring home fresh bread for breakfast. Have a beer in the afternoon by the tracks and speak to the people who walk by you. 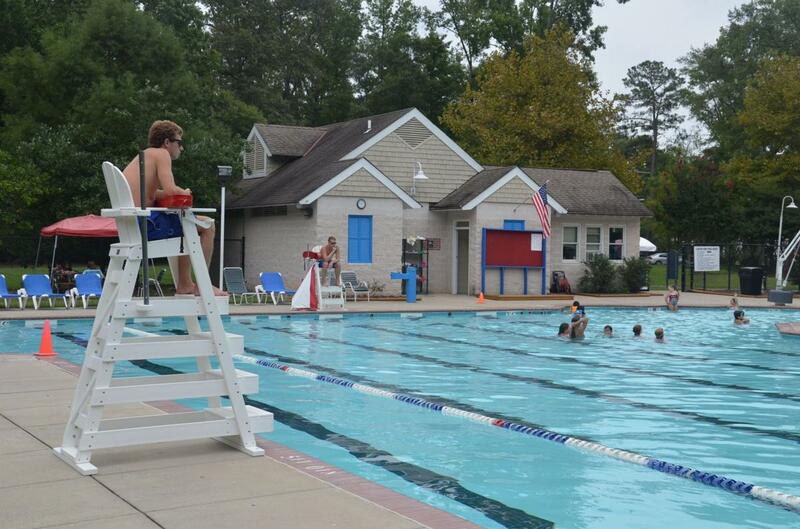 Pack a picnic and bring your Sunday paper to read by the Carter Park pool. Pause awhile and look at this beautiful life. Call or email me with your Ashland news: 310-5320, ashlandnews@gmail.com. Tenha um bom fim de semana!